Macedonia could be invited to join Nato as soon as it solves its name dispute with Greece, Nato has indicated. 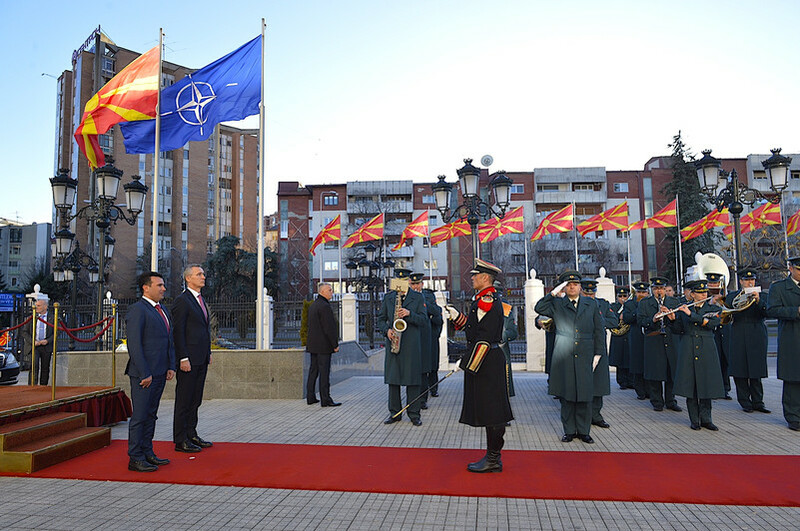 Jens Stoltenberg, Nato's top official, gave the upbeat assessment on his first-ever visit to Skopje on Thursday (18 January). 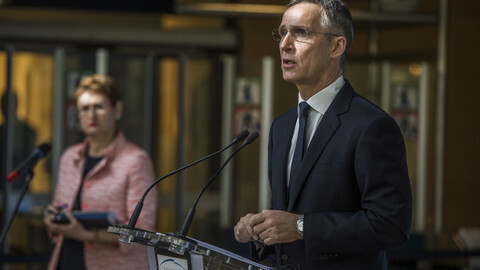 "The allies [have] agreed that Nato would invite your country to join the alliance once a mutually-acceptable solution to the name issue within the UN is reached," he told Macedonian news agency MIA. He said Nato would review Macedonia's other reforms, in areas such as electoral standards and media pluralism, in April ahead of a Nato summit in July. He also gave the name dispute a central place in a speech at the Macedonian parliament earlier the same day. "There is still room for more flags in front of the Nato headquarters," he told MPs, referring to Montenegro's accession last year. "There is … much hard work to be done - that means, of course, resolving the issue of your country's name," he added. "It's an issue that has weighed on this region - and this country - for far too long," he said. Greece, a Nato member, has blocked Macedonia's Nato and EU bids for almost a decade on grounds that its name implied a territorial claim to a Greek region of the same name. 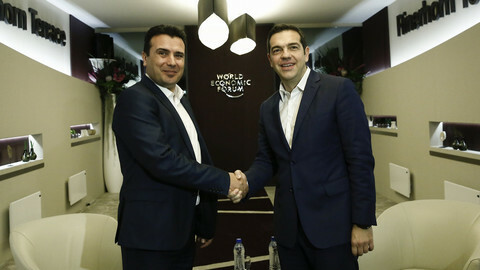 The Macedonian and Greek PMs, who met earlier this month, have said they are close to a solution. Matthew Nimetz, a UN mediator, also said he was "very hopeful" of a solution after meeting Macedonian and Greek diplomats in New York on Wednesday. A Nato source told EUobserver that Macedonia's armed forces, which have served alongside Nato in Afghanistan for 15 years, were ready to join from a "technical" point of view. But the Greek nationalist Anel party, which is part of the ruling coalition in Athens, could slow things down. The UN's Nimetz said: "I myself don't think it's realistic to expect the Former Yugoslav Republic of Macedonia not to have Macedonia in some form in its name." 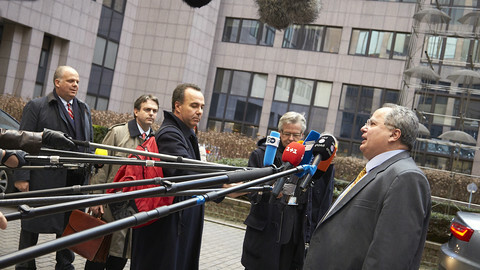 But Dimitris Kammenos, a senior Anel MP, said on Thursday that his party was against any such proposal. 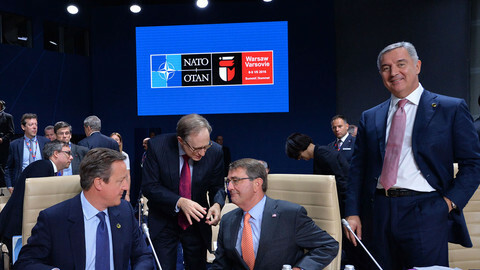 "Given that they [Macedonia] want to join Nato, they should be the ones to back down, not us," he said on Greek radio. Panos Kammenos, Anel's chief, said the same in an op-ed in Kyriakatiki Dimokratia, a Greek newspaper, last weekend. "Including the term 'Macedonia' in the [new] name would signal the retrenchment of Greek civilisation," he said. The developments come in the teeth of Russian opposition to Nato expansion in the Western Balkans. Russian foreign minister Sergei Lavrov said on Monday the acceleration in the name talks was "related to the US desire to bring Macedonia into Nato … it's not about the rapprochement of two Balkan peoples". It remains to be seen if the Kremlin will use its Anel party links to try to spoil the process. Anel has a cooperation agreement with Russia's ruling United Russia party and endorsed Russia's annexation of Crimea from Ukraine. Some in the region, such as Albanian foreign minister Ditmir Bushati, even believe Russia might stage operations like the attempted coup in Montenegro in 2016 designed to stop its Nato entry. Stoltenberg told MPs in Skopje that if Macedonia joined Nato it would move into the Western security sphere. "We are a military alliance whose chief purpose is collective defence, with a solemn commitment to come to each other's aid based on the principle of one for all and all for one," he said. Speaking in Brussels on Wednesday, Nato's top military officer, US general Curtis Scaparrotti, said Nato was still the "dominant" force in Europe vis-a-vis Russia. "There are domains within this in which we're challenged ... cyber is one of those," he warned, however. "There are others where, because of [Russian] modernisation, while we are dominant now, we will not be so in five years per say," he added. 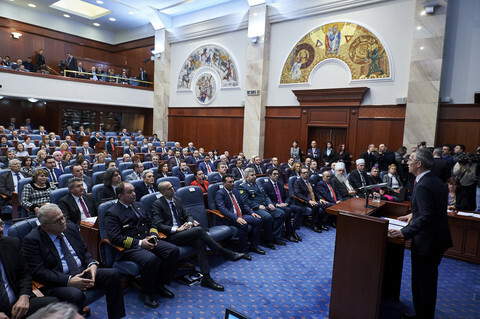 Stoltenberg's visit to the Macedonian parliament came after a nationalist mob stormed its plenary chamber last April to try to keep the former prime minister, Nikola Gruevski, in power. "The events in this building … in this very chamber, shocked me," Stoltenberg said on Thursday. 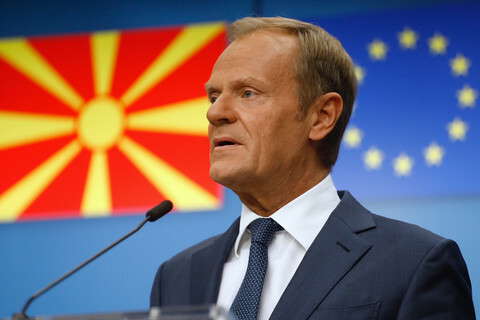 He urged the pro-Gruevski opposition to play a "constructive" role in future. "Nine months ago, you were approaching the edge of a cliff. Since then, you have turned a country of potential instability into a country of real opportunity," he told MPs. Macedonia and Greece have voiced fresh will to solve their name dispute, amid concerns on Russian meddling in the Balkan region. Prosecutors in Montenegro have said “Russian nationalists” were behind a failed coup against the country’s pro-Nato leader. Nato's Stoltenberg said Russia misled allies about the size of Baltic wargames, and warned that the Ukraine conflict remains "fragile". One of Europe's most intractable post-Cold War diplomatic spats may just be reaching its endgame. 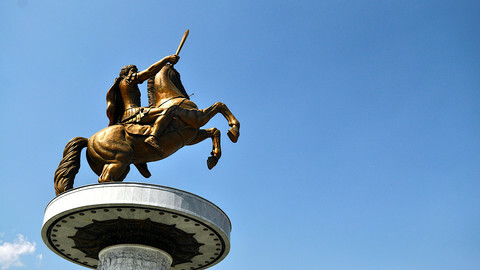 Macedonia to rename its airport in a move designed to reassure Greece and unlock its Nato and EU bids. 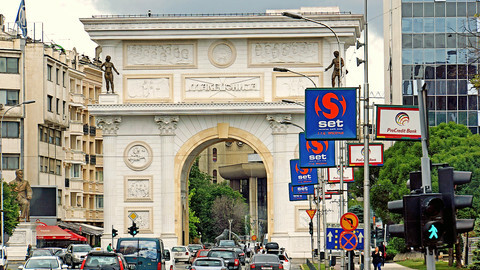 Unlocking Macedonia talks could be this year's big breakthrough in EU enlargement, but the devil's in the detail of Macedonia's constitution, as Macedonian prime minister Zoran Zaev and Greek PM Alexis Tsipras meet in Sofia. Two million people in Macedonia will be hoping to become EU citizens in 2025 as leaders give nod to start talks. 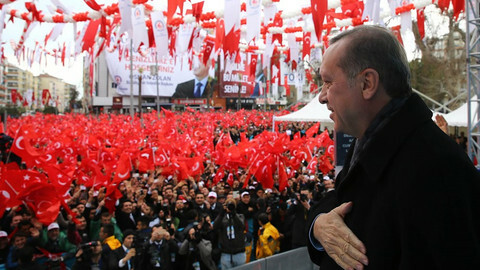 The new blend of religious nationalism will be more anti-West and anti-EU, as Brussels has anything but leverage on Turkey. The first signs of this strong rhetoric are already visible.